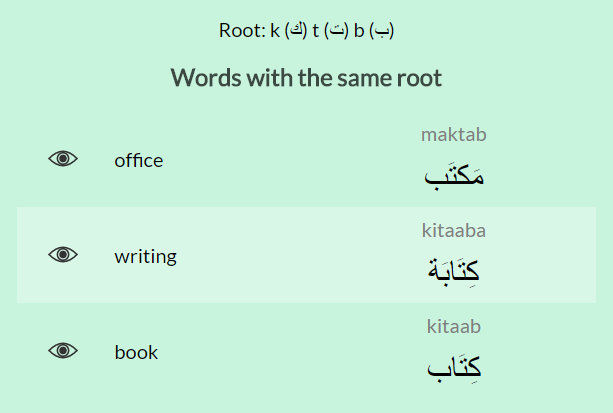 Thanks to the root system, you will be able to learn Arabic words much faster. Most Arabic words have a root of three letters. Words that share the same root very often have related meaning. Most Arabic words have three letters in the root. But some words have roots with four letters. And a lot of words does not have any roots. The root system is something Arabic has in common with other Semitic languages, like Hebrew. I love systems and consistency. And if you do too, you will be glad to hear this: Arabic words not only have roots, they also have patterns.